Many monuments and structures from the past lie buried in the ground just under our feet. Many lost artifacts also remain covered with dust and overgrown with vegetation and have yet to be found so they can shine a light on some missing parts of history. Finding such gems and bringing them back to life certainly brings pleasure to their finders, but their acquisition and the resulting gain of knowledge often benefits society as a whole. 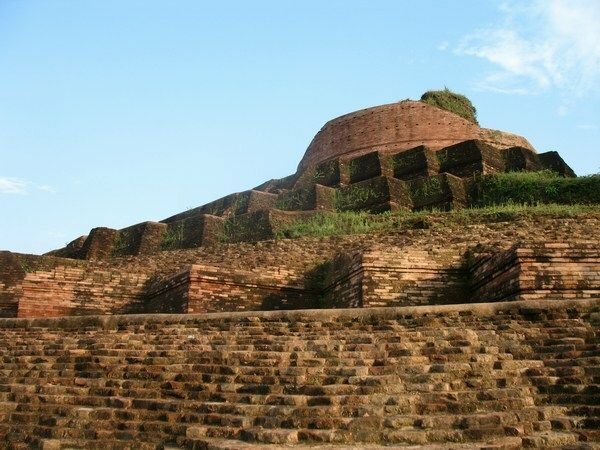 Kesariya Stupa is a stupa dedicated to Lord Buddha located in tranquil surroundings in the town of Kesariya in the East Champaran district of the state of Bihar, eastern India. 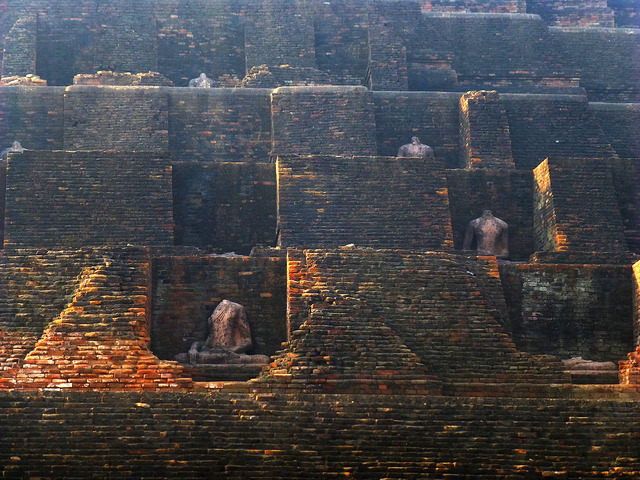 It is believed that the current structure was built somewhere between 200 AD and 750 AD to honor the location where Buddha spent his last days and donated his begging bowl. The structure is a fine example of Buddhist architecture. Standing 104 feet high and with a circumference of nearly 1400 feet, it is one of the tallest and largest Buddhist stupas in the world. A large number of statues add to its beauty. Unfortunately, some parts of the statues have not survived the passage of the time and the turbulent events that hit the region in the past, primarily the attacks led by various invading Muslim rulers in the Middle Ages, and now are in a ruinous state. 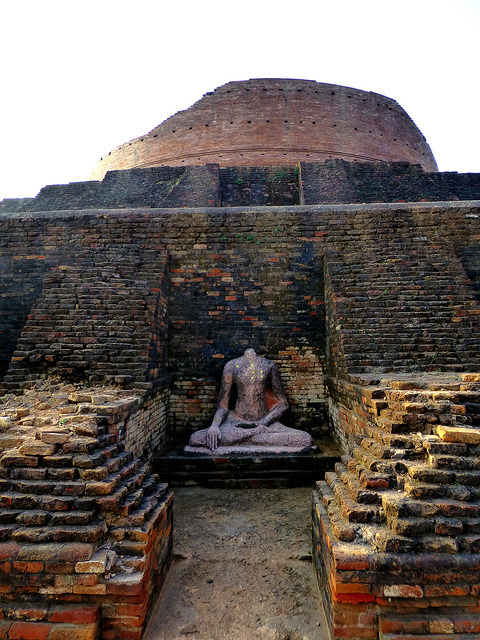 According to legend, in the last months of his life, Buddha left Vaishali for Kusinara (Kushinagar). A large group of Licchivis (the people of Vaishali) followed him and tried to join him on his journey. At first, they refused to leave him alone, but somehow at Kesariya, which in those days was known as Kessaputta, he convinced them to leave. They were unhappy that they had to leave the sage, and to cheer them up he gave them his begging bowl. It is believed that he then prophesied to his followers that the time of his death was near and that he would soon reach nirvana. 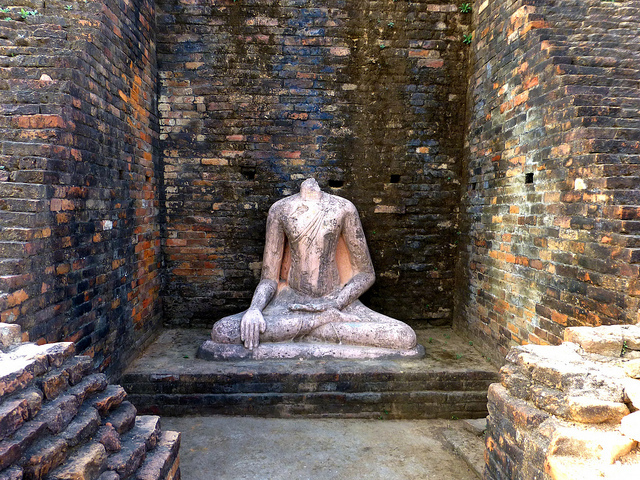 It is also said that it was at this site that Buddha presented possibly his most respected discourse of the Kalama Sutta and advised that his teachings should be accepted only after observation, reflection, and careful examination. The story goes that the Licchivis then built the stupa to honor the last days of Buddha’s life before attaining nirvana, to house his bowl, and to commemorate the Kalama Sutta. 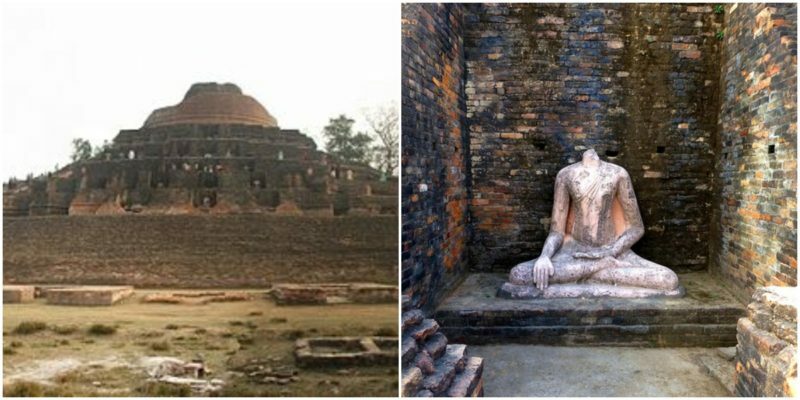 Originally, the stupa was made of a mud and was probably constructed during the reign of Ashoka the Great (circa 250 BC). Evidence for this assumption – the remains of a capital of a Pillar of Ashoka that originate from this period – was found at the site. It is believed that the current structure was erected during the Gupta dynasty, between 200 AD and 750 AD, on the remains of the earlier site. The stupa was visited by two significant Chinese Buddhist monks and travelers who left some written words about it. 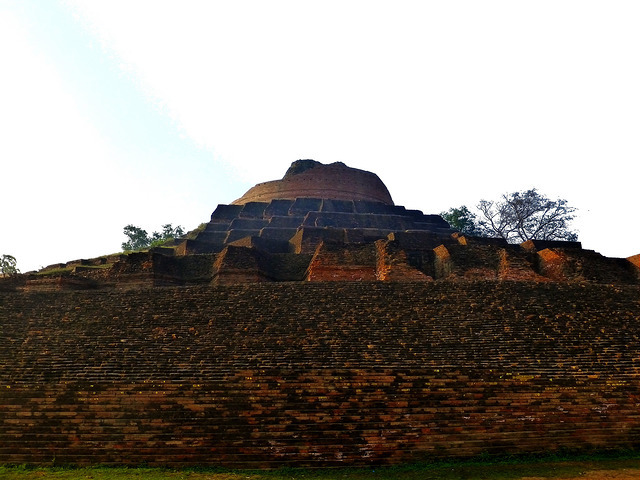 Faxian (or Fah sien), during his travels in the 5th century, mentioned a stupa that was erected over Buddha’s alms bowl by the Licchavis of Vaishali. 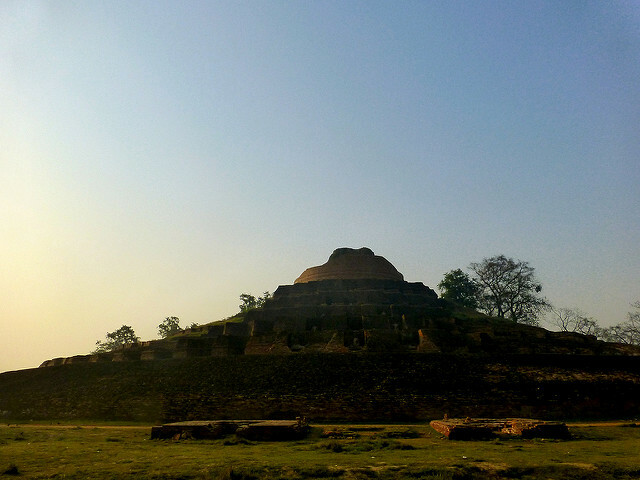 Today, many believe the stupa that was mentioned by Faxian is the Kesariya stupa. Hsuang-tsang mentioned the stupa in his diary too in the 7th century but didn’t give any details about its origins or appearance. Officially, it was discovered in 1998 during huge excavations by the ASI (Archaeological Survey of India) and was almost completely excavated from the grassy and wooden cover. However, the first attempts to bring it back to life began much earlier. The exploration of the location reportedly began at the beginning of the 19th century. It is said that the site was located in 1814 by a team of explorers led by Colonel Colin Mackenzie and that in 1861/1862, minor excavations were done by the archaeologist Sir Alexander Cunningham. 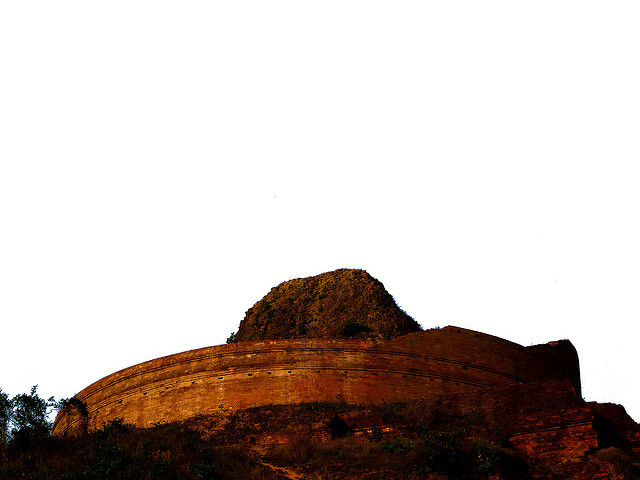 According to the ASI, the stupa was originally 150 feet high, but the constant erosion had reduced it to 123 feet. Furthermore, the catastrophic earthquake of 1934 that hit North Bihar reduced it to 104 feet. The 1998 excavations revealed many significant artifacts such as arrowheads, Islamic coins, earthen lamps, inscriptions, decorated bricks, destroyed idols, and other terracotta and copper items. The site is a protected monument and is important not only for India but also for the rest of the world. Although it is a popular attraction visited by many tourists and devotees, it is still not yet completely excavated. Large parts are overgrown with vegetation and there are plans for it to be restored systematically in the near future. Future excavations of the stupa and the nearby area will probably reveal more artifacts that could help to fill the missing parts of the region’s history.